B/D/F She looks like she's cloaked in blood, this is so cool!!! Send me the artist's info. 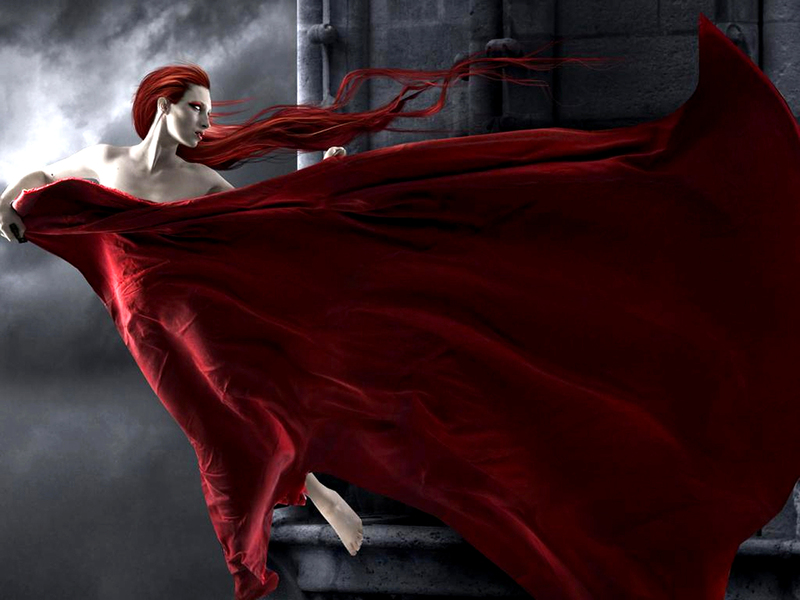 Crimson red hair and cloth. Gotta love it.